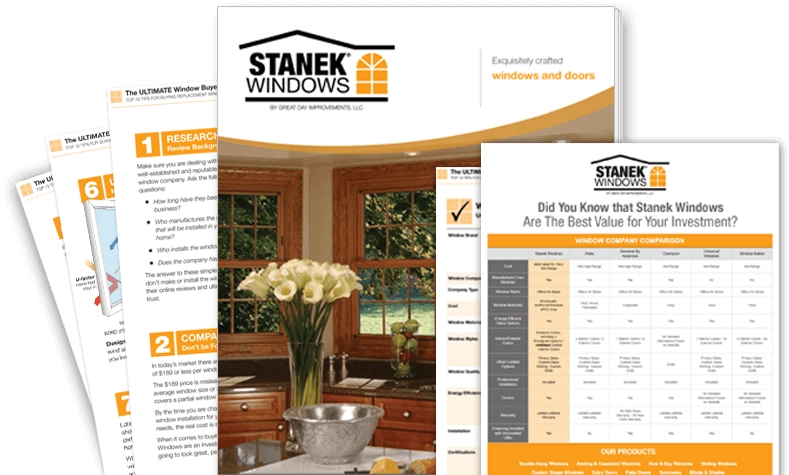 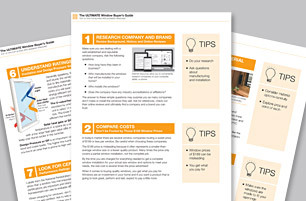 Stanek Windows professionally installs handcrafted ProVia® entry doors. 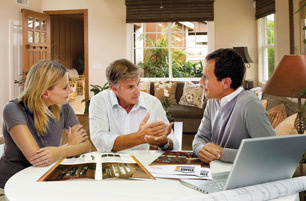 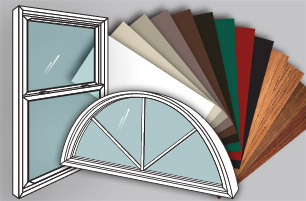 All ProVia doors are constructed from professional-class steel and fiberglass. 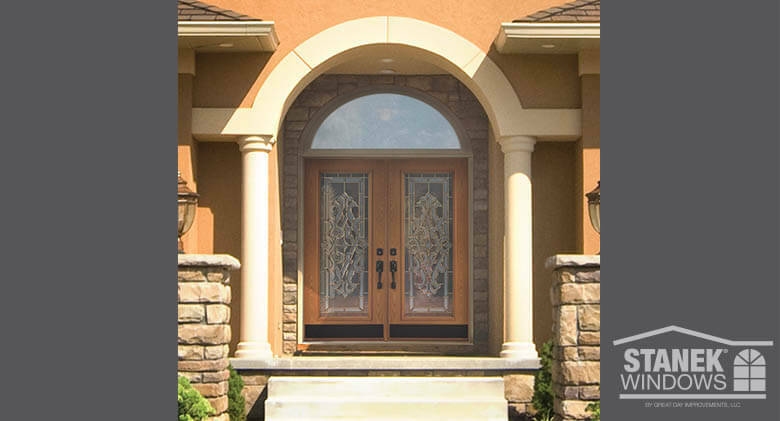 Each unique door provides exceptional security along with stunning style to complement your home beautifully. 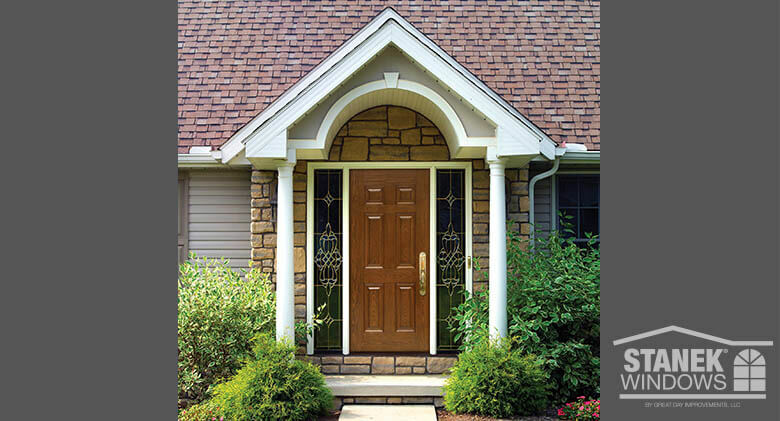 Entry Doors ProVia® entry door with sidelites. 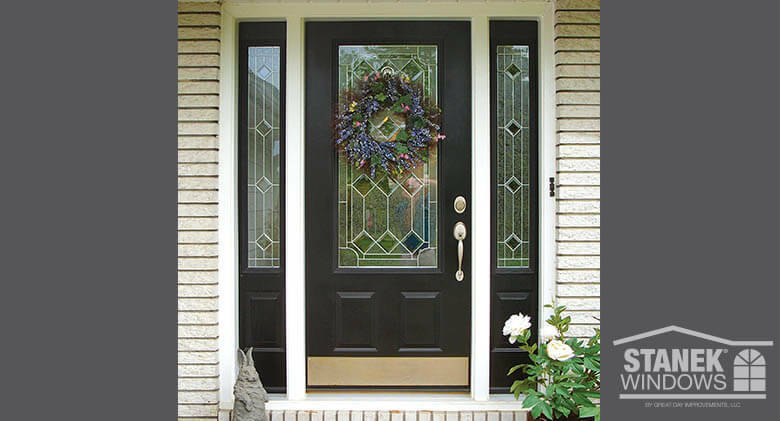 Black exterior color with white cladding. 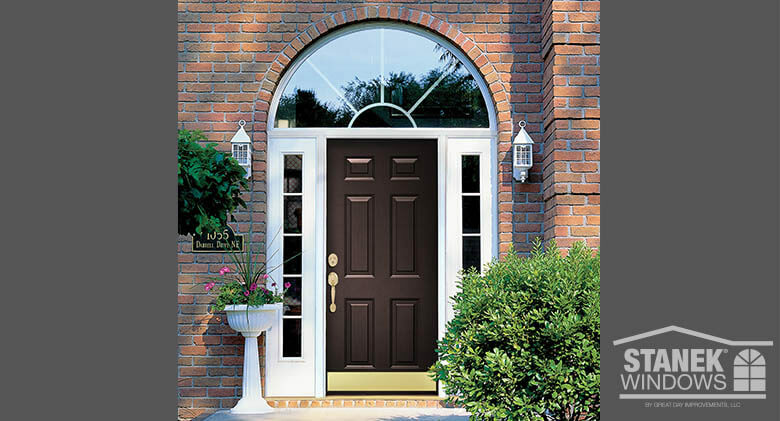 Entry Doors ProVia® fiberglass entry door with sidelites. 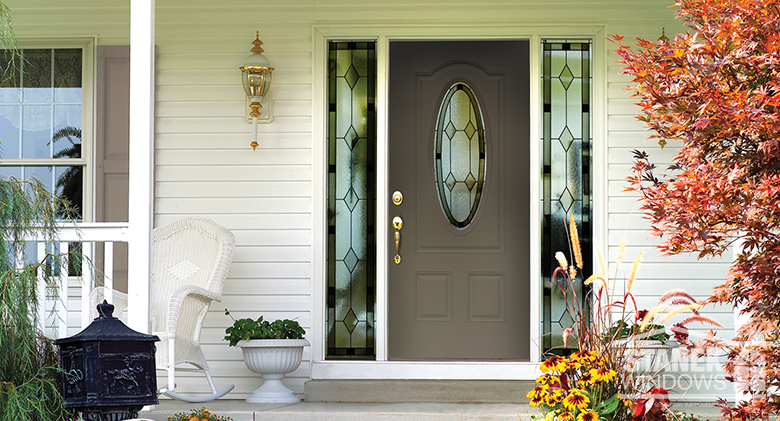 Entry Doors ProVia® energy-efficient fiberglass entry door with sidelites. 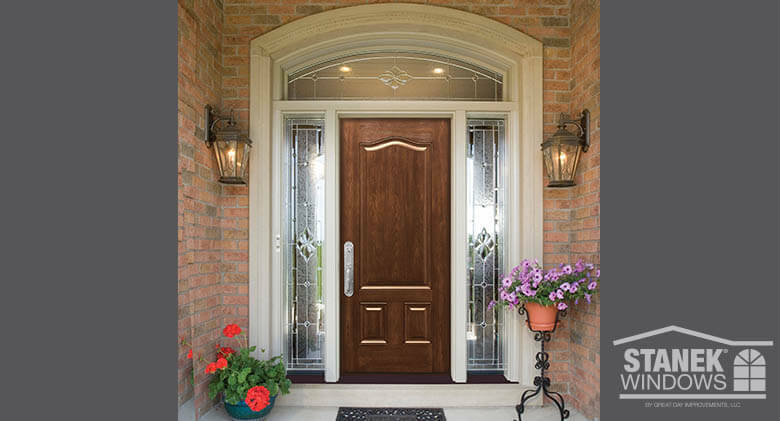 Entry Doors ProVia® Heritage series, fiberglass entry door in enhanced woodgrain finish. 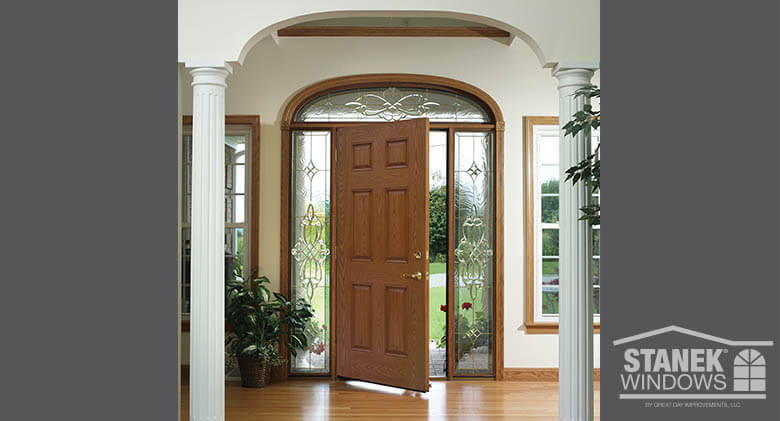 Entry Doors ProVia® Heritage series, energy-efficient entry door. 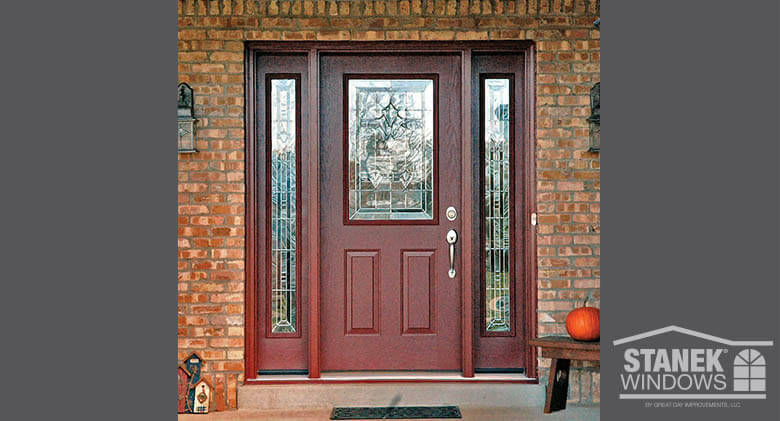 Entry Doors ProVia® Legacy series steel entry door in mountain berry woodgrain finish. 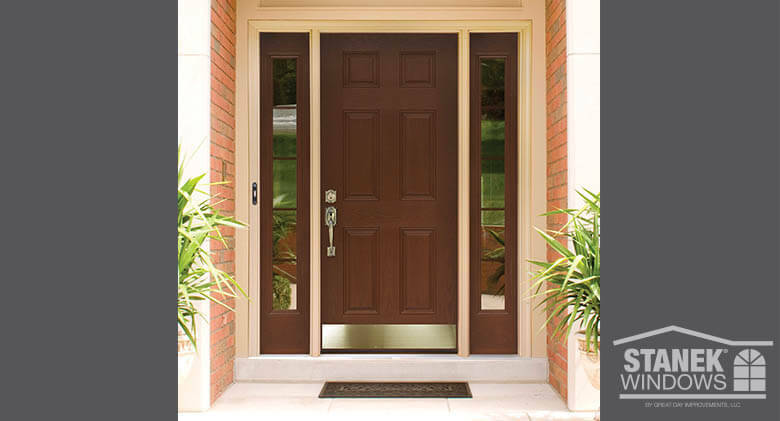 Entry Doors ProVia® Legacy series 20-gauge steel entry door in bronze. 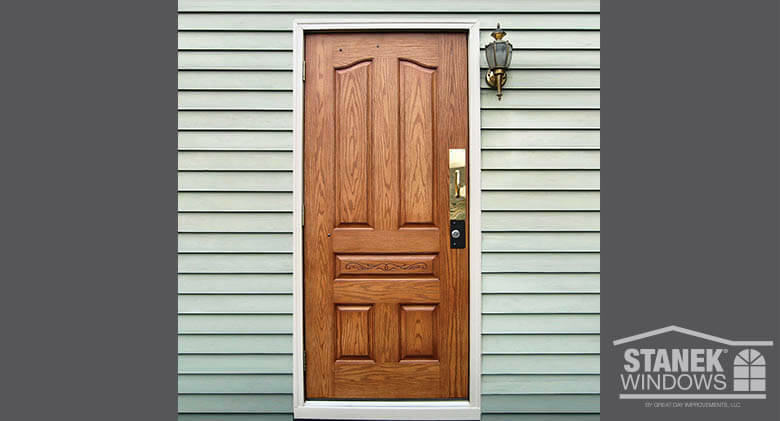 Entry Doors ProVia® Signet series fiberglass entry door in oak high definition woodgrain finish. 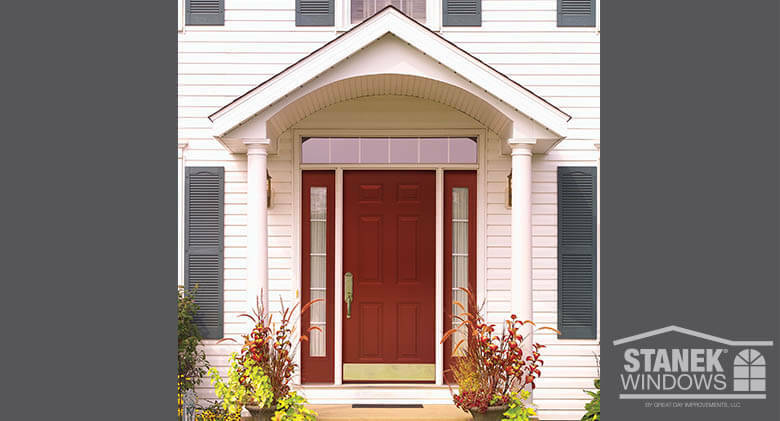 Entry Doors ProVia® Signet series fiberglass entry door in American cherry high definition woodgrain finish. 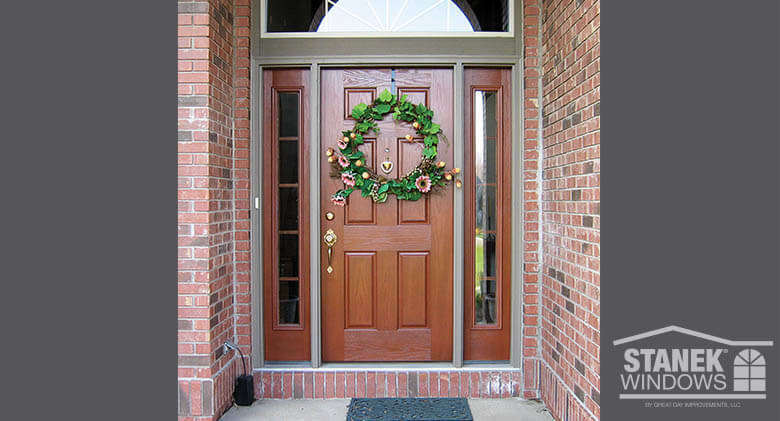 Entry Doors ProVia® entry door, oak woodgrain finish. 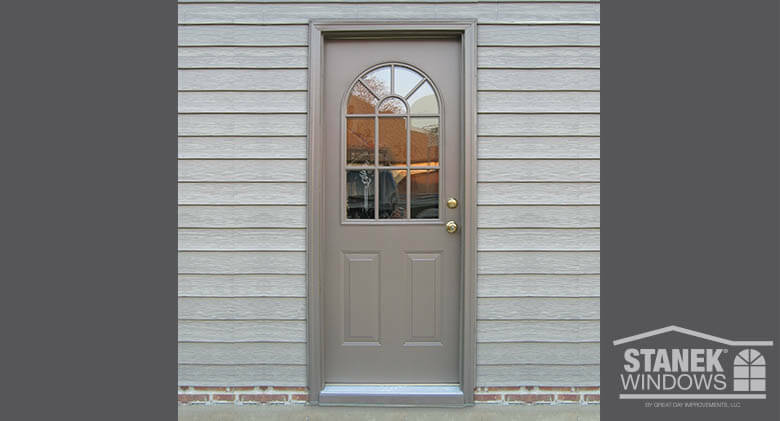 Entry Doors ProVia® gray steel entry door with window. 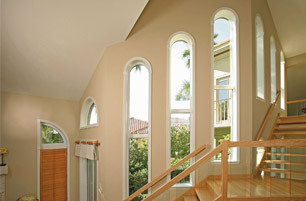 Entry Doors Custom-shaped storm door in beige.